Half Moon Bay, California - February 9, 2016. FishLine, the #1 mobile application for Fresh, Local Seafood, is now available for use by everyone, everywhere. Now anyone with a smartphone, tablet, notebook or desktop can search for Fresh, Local Seafood anywhere. And all fishermen, markets, community supported fisheries and restaurants can list the Fresh, Local Seafood that they are selling or preparing for FREE! "We've been expanding FishLine from its origin in Half Moon Bay over the past 4 years," said Joe Falcone, CEO & Founder of Phondini Partners LLC, the creators of FishLine. "Because there was demand for FishLine on the Atlantic and Gulf Coasts, version 4 of the app and website allows anyone, anywhere in the world to post and browse for Fresh, Local Seafood." The FishLine mobile app is available for iPhone, iPad and Android devices, and the FishLineApp.com website is available for Windows and Mac users. FishLine is currently only available in English but other languages are in the planning stages. FishLine is ready to go for fishermen and consumers in the US, Canada, the UK, Ireland, Australia, New Zealand, South Africa and other places where English is a common second language such as Singapore, India, Hong Kong, Holland and Scandinavia. 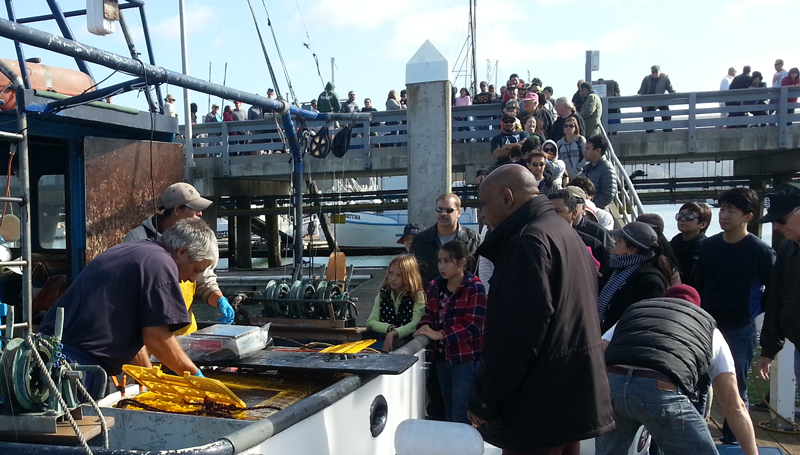 "Fishermen have learned to trust FishLine to bring crowds of seafood buyers to Pillar Point Harbor," said Dan Blick, FishLine Community Manager. "These buyers want to know when their favorite seafood is available fresh off the boat or at a market or restaurant. The Free FishLine service attracts these buyers to wherever there is Fresh, Local Seafood!" Phondini will be presenting FishLine at the Local Seafood Summit in Norfolk, VA, February 16-18, 2016.